I never know when I'll be inspired. Last week, I was looking at fabrics at JoAnn's for a client project, and stumbled upon this bold floral. I gasped. 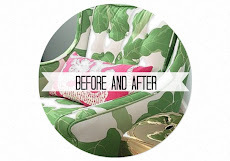 I know not everyone likes birds...yeah, yeah, but the color and freshness and boldness of this fabric is just lovely. 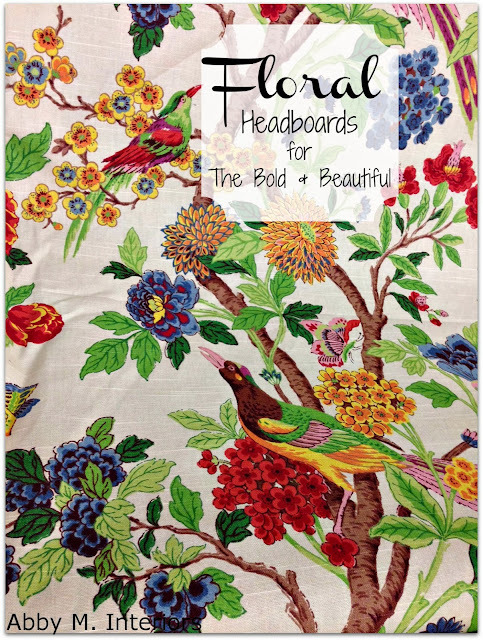 I instantly wanted to create a floral headboard from this fabric. 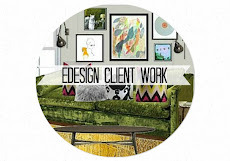 A whole room can come together in an instant in my head. 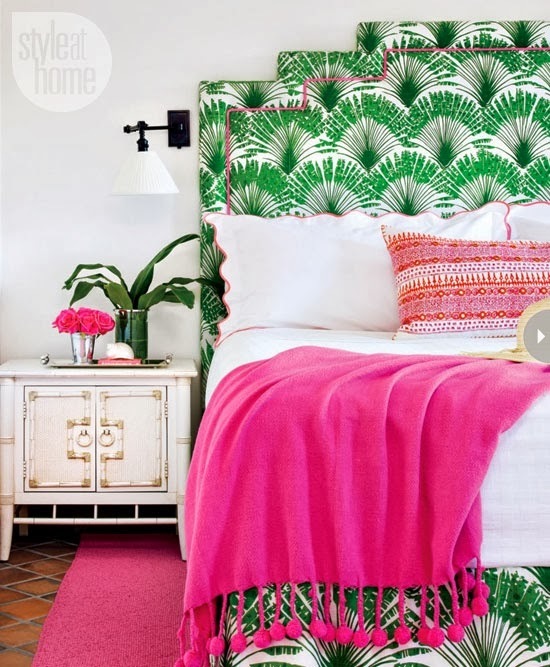 Then I came home to search pinterest to share examples of bold floral headboards that still look classic and stylish in a bedroom. 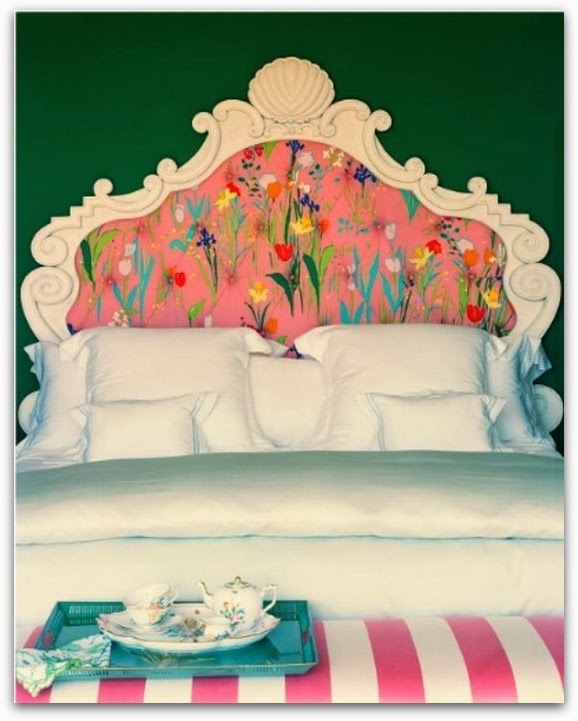 I think most people see floral headboards as best for a girl's bedroom. 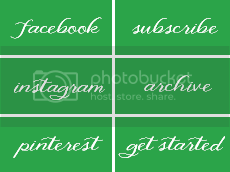 And those can be beautiful! 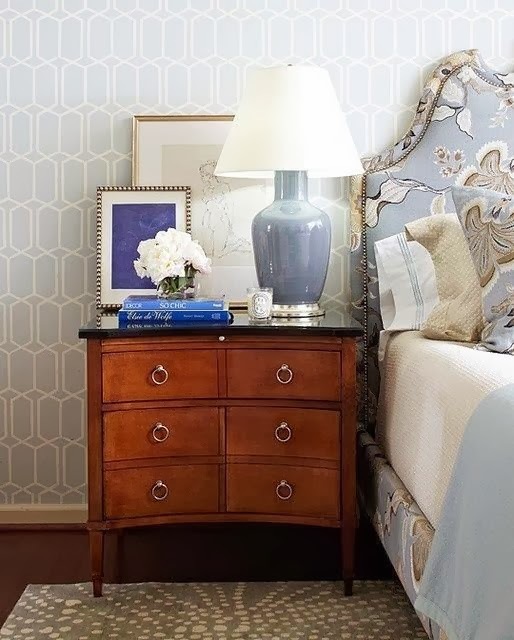 But floral headboards can also work in the master bedroom. Really! 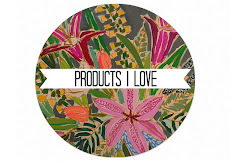 Or if they make you nervous, why not try them in the guest bedroom? 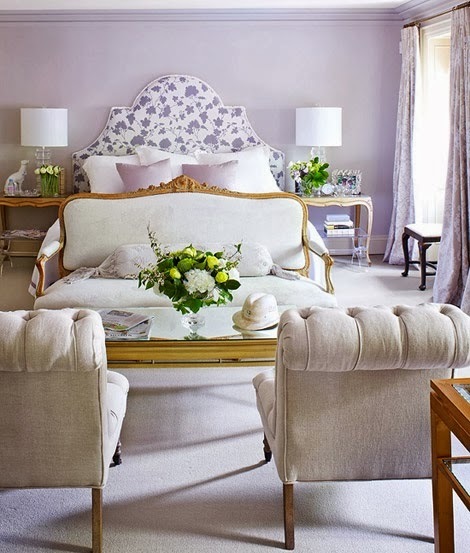 Here are some adult bedrooms with amazing floral headboards I love. 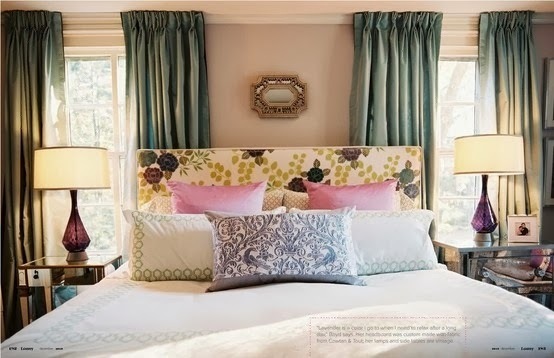 I took some time to throw together a bedroom based on using this floral fabric on the headboard. 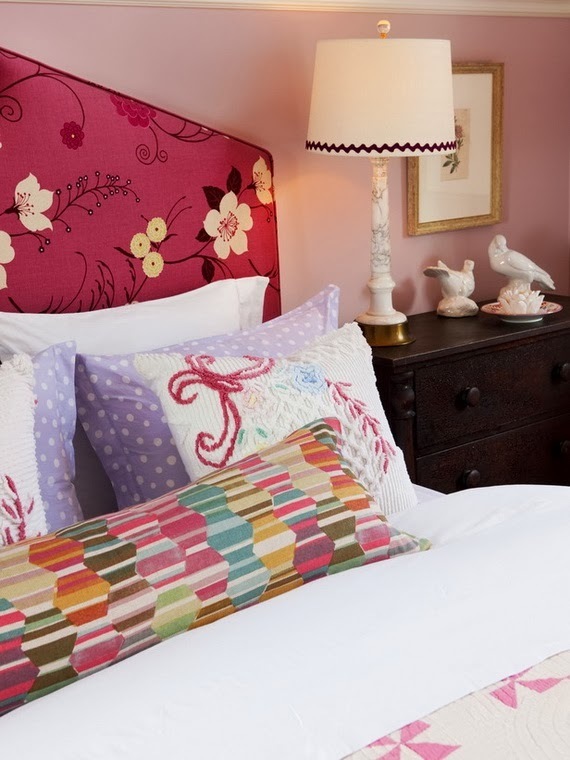 Here's some inspiration to give you an idea of this imaginary bedroom design. 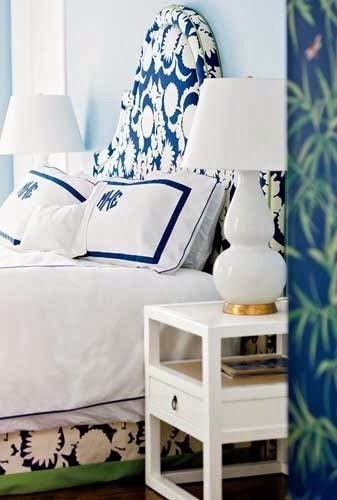 This is just a jumping off point, but I would love a guest room like this. A little wild but completely classic at the same time. 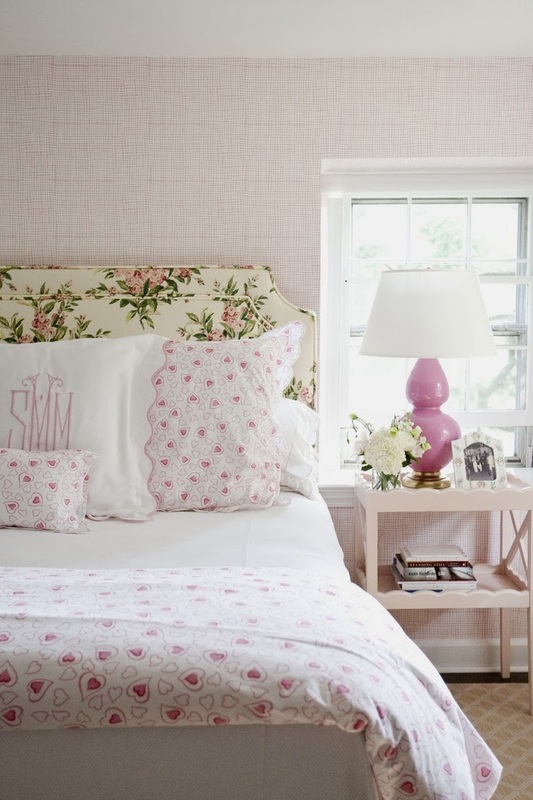 Would you try a floral headboard in your home? 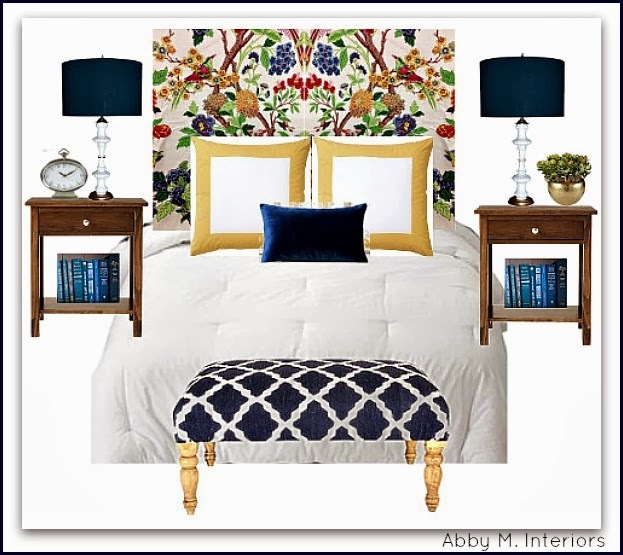 Let's continue the conversation on the Abby M. Interiors facebook page. 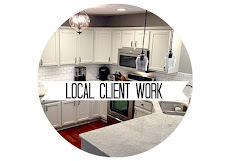 If you would like to work together creating a home you absolutely love, click here for more information about my interior design services.